It’s been a lovely autumn in North Carolina. The leaves have been spectacular – nearly intoxicating in their brilliance. The temperatures have been warm with just enough cool snaps to enjoy a hot cider. And although the evenings have flirted with frost and freezes, low winds have prevented plant damage. My geraniums have bloomed steadily and my sweet pepper plants have kept producing their fruits. The herbs are lush and the basil is still fragrant. But the sand has run out of the temperate hour glass. Lows in the twenties are expected for the next couple of nights. However nice they appear right now, I know they will never survive that. So I’ve spent precious free time hauling in sensitive plants that I usually keep indoors over winter, and collecting the peppers, herbs, and scallions. I also emptied the fountain and removed the parts that might be sensitive to freezing temps. But there are things to put out too, like lots of bird seed in the feeders and a heater in the garage for my old dog. She has an arthritis cushion beneath a double doggie bed, and stays comfy warm as long as we keep the heater running. These are rituals for me, the ones that initiate a new season leading into holiday activity. I’m starting to look ahead, imaging Thanksgiving dinners, decorations, Christmas parties and pot lucks. What can be done ahead of time probably needs to be. There are dishes that can be prepared and frozen for last minute entertaining, outside lights can be strung on the holly trees that flank my house, and shopping can be – dreaded? We have a host of birthdays this month and they will need to be shopped for and dinners penciled in on the calendar. And as most of you know, I am participating in NaNoWriMo, which is going well. I did have two days without internet. I’m still not sure exactly what happened, but I think it had something to do with the new fiber watt line the telephone company with whom I have internet service is installing. Suffice it to say, my computer eventually told me to reboot the modem by unplugging it, leaving it off for five minutes and restarting it. This worked perfectly except now I am flummoxed by how it knew. My car had to go in the shop for maintenance and repairs and a blood test revealed that I am abysmally low in Vitamin D.
Oh, November, how do I love thee? Maybe November loves me back with these offerings from Mother Earth. I think I’ll make a nice stir fry and save the basil for pesto or a Marguerita pizza. It’s the best I can do with these last offerings of the garden’s bounty. Can you get Vitamin D from a sun ripened pepper? 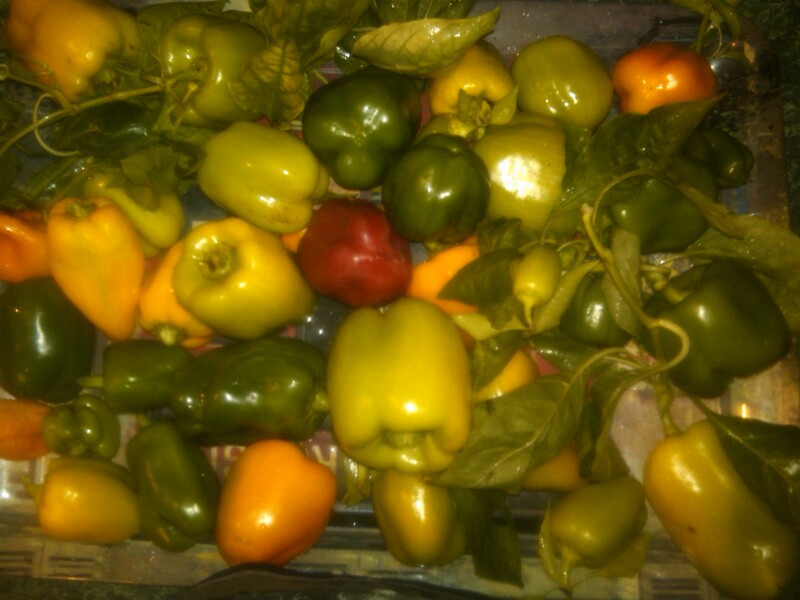 Bell Peppers – All colors! Aren’t they beautiful and alluring, almost obscene in the fall garden. 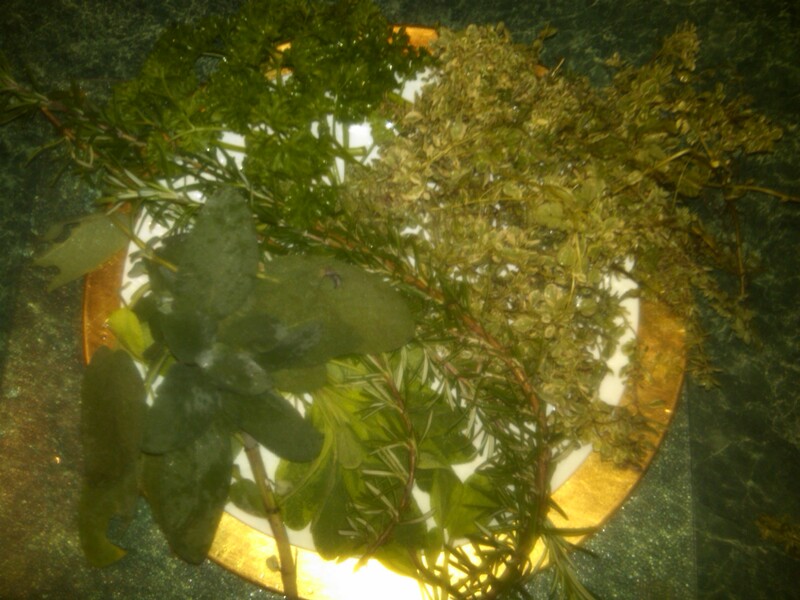 Parsley, Sage, Rosemary and Thyme – just like the song! 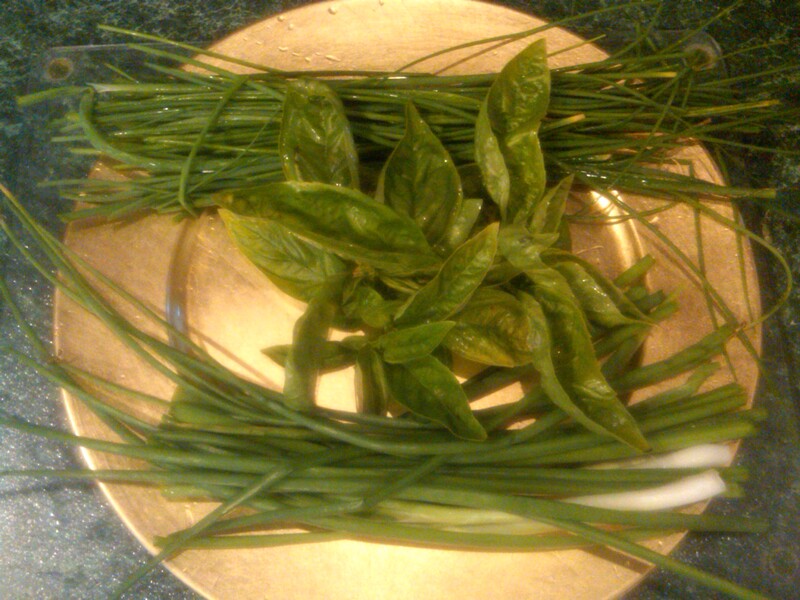 Basil, Scallions and Chives – more goodness from Mother Earth! Your veggies look wonderful, Renee! I’m a Carolina girl at heart and love it there this time of year, the mountains especially. Thank you Ms. Maven! Knowing it’s the last for the season makes them even more special. Costco (Kirkland) has the most adorable little vitamin D caplets, so unlike some of the gag-a-horse pills available. Thanks Lee. Right now I’m on prescription strength capsules. Yikes! Those vegetables are pretty as a painting! How gorgeous a time of the year! Now, I start to long for April! LOL! I know – it makes us long for the next season doesn’t it! I’m surprised they’ve lasted til near mid-November. Often we have an early freeze that zaps them. Love the picture of the peppers! I can’t believe you are particpating in the NaNoWriMo, have time to blog and comment – I am impressed. Perhaps the vitamin D deficiency is helping keep my bottom in a chair and the computer on my lap. Otherwise, if my energy was up, I’d probably be working in the yard or cleaning house. Vitamin D from a sun-ripened pepper??? I wonder! They’re predicting 32 for us tonight. Guess I’d better go bring in my potted geraniums! Can’t hurt to eat a few of these babies! I’m thinking stir-fry or pepper steak. Got a favorite recipe? I love that you take such care to keep your dog comfortable. Our fur-kids are such special gifts to our lives. My old girl is 13+ years old. She’d be inside of the house by the fireplace except for the little leaky bladder issue she developed just this past year. It’s sad to see her going down hill. But for a German Shepherd, her hips have stayed in good shape. Her bedding is washable, and the steamer cleans the garage floor. But I have to tell you, I miss having her inside with me. I feel so sad for you & your GS. I know how hard this must be for you both. Our dog is 7 and has quite a few health issues. We’re trying what we can to keep her happy and healthy and with us for as long as possible. It’s the hardest part about having a pet. (((hugs))) to you & your GS. Love the photos! Makes me hungry! As to the computer knowing the cure for what ailed it, I’ve given up trying to figure out how they know what they know, and just accept it. And am grateful for smart devices that are usually several steps ahead of me! PS…what is the event you’re participating in? Didn’t know the acronymn. Oh Sheila, I would have sent you the link if I knew it wasn’t on your radar. NaNoWriMo stands for National Novel Writing Month and it where writers sign up for the challenge of writing a novel of no fewer than 50,000 words during the month of November. 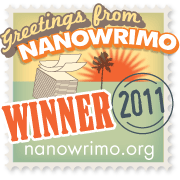 Put it on your calendar for next year: http://www.nanowrimo.org. You can write anything – children’s book, fiction, nonfiction, memoir. It’s good practice. I hope you are getting ready for the best season of the year. As new year, Christmas, thanks giving and all the other beautiful days of year are at your door now. Birthdays are going to add to your celebration for sure. It’s true that we don’t have these many reasons to celebrate during this part of the year. But I am very much sure, you are going to make us part of your celebration through your blog. Arindam, I am quite certain that Champagne, taken in moderate amounts, will cure both of our ills. LOL! I envy people who garden with such delight! It’s not a big garden, but it does make me smile! Just one of the benefits of living in the south. Reminds me of the Dylan lyric: Ah, but I was so much older then, I’m younger than that now. Crap. I posted the above to the wrong blog! Thank you for sharing your bounty with us! This is such a abundant time of year, isn’t it? Abundance of “to dos” and places to be … all fun but, for me, easy to give too much and then get run down. Thanks for the advice MJ. At least I know what part of the energy problem has been. I’m writing down your recommendation to get after I finish the prescription strength ones. Apparently mine is so low that I’ve been prescribed 50,000 mg per week. But it’s in a capsule that I am supposed to take once a week. How long did it take you to start feeling better after you started taking the supplements? Yum! What a great blog to end the growing season! We’re so fortunate here in NC to have a long one! You know it friend. It’s about time for the china hunting trip isn’t it? Or maybe a cruise somewhere warm – South Pacific?? Oh the joy of fresh basil all the way until November. I have some in pots that I had to move indoors a while ago but it is looking rather pitiful. I love the change of seasons. Thanks for sharing your rituals with us. Is there anything better than fresh basil? I put it in green beans, corn, on sandwiches, just about everything. So to have it last this long is a treat. I’m so glad you commented on my blog so I could find yours. Your photos are wonderful. My older son in Seattle has a huge vegetable and herb garden. When we visited, we gathered tons of produce and made great meals in the pressure cooker. I gathered fruit from the trees and made pies. What a joy. It’s almost therapeutic isn’t it – gathering your food and then preparing it – knowing you had a hand in the entire time? Delicious, healthy, and as you say, joyful! Thanks for visiting. Lovely post and beautiful veggies. I look forward to having a garden next year. I think it’s too much to hope for a winter garden at this point, as I am maxed out with things to do. But, I do love to read about your harvest. I adore fresh basil. I am guessing that you all north of me in Florida got zapped last night/early morning this morning by low temps. I was so surprised when I walked out my back door this morning and realized the temperature must have gone below freezing. My banana plant and one hold-out squash plant (that volunteered against the odds this year) had gotten zapped. I’m glad you were diligent in getting things in! Yes, I’ve been watching the weather forecasts like a possessed person. It’s unusual to not have at least one night of frost or freeze in October, but gentle coverings help them survive. I feel lucky to have had them this long since it’s almost Thanksgiving. —Mother Earth REEEALLY loves you. I’ve already partaken – simply raw dipped in a little dressing and again on a pizza along with that basil. I took couple to the horses, just to see if they would eat them, and they loved them too! Thanks for visiting. It’s funny, I’ve been thinking lately about moving to North Carolina. Our basil is withered by mid-October, and by the time our pepper plants realize what they are, it’s too late. This post could be a brochure to lure new residents. And pesto and Margherita pizza — exactly! 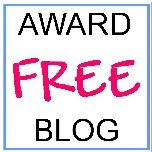 Congrats to you, your blog is day by day getting the recognition in deserves. I am just waiting for the day, when your blog will be in that freshly pressed list. From your lips to God’s ears, as the saying goes. I’m just glad that we’re all finding each other. And thanks for the encouragement Arindam. You are always so kind! NC would be lucky to have you and your insights. Come and join us – we can have a ‘welcome’ party with plenty of good food which is always available in NC. Enjoy your final harvest for the year! It looks wonderful! Enjoy your final harvest of the year! It looks wonderful! You convey such a calm I could feel my natural angst draining away. I envision you floating like an angel through your chores radiating peace and serenity. I will admit a bit of envy. I wish I could deal so “gently” with my life . . . something to aspire to. Thank you for the nice compliment, but I think I am probably more like a ‘fart in a wind storm’ as I was once referred to. Oh well, I guess we all have our moments. I’m dealing with a little health dilemma myself – nothing like yours just a pain in the you-know-where. Still, it’s nice to take a little time to appreciate what we do have, as you so eloquently put it. I really enjoyed reading about your garden’s bounty. And being a photographer I surely enjoyed your luxuriant pictures. So lush, vivid and tempting. Greens for all uses (and a few more colours). Your post was just the thing I needed to read this morning. Truly put me in a relaxed, thankful state of mind. And your pictures are gorgeous! My brother lives in North Carolina and we are looking forward to visiting him again next year. I love the weather he enjoys, usually mild during the day, but not mind-numbing cold at night like we get up here in Maine. He lives near Lake Lure, which is one of the most beautiful places I’ve ever seen. Congrats on particpating in the NaNoWriMo. Enjoy your upcoming busy days. I have lots of birthdays coming up as well (my daughter’s is right after Thanksgiving) and with all the holiday shopping I have to do, I’ve decided to take a blogging break to get all the stuff done. Hope to see you around after it all dies down. I am unofficially participating in NaNoWriMo…I’m kind of cheating. I’m taking a series that I have been writing on my blog and filling in the gaps to produce a novel. In other news, how can you be low in Vitamin D when you’ve been gardening so much? Congrats on your lovely bounty, and may you find yourself overflowing with bounty in every area that counts as a blessing! What a nice comment and blessing from you. Happy Thanksgiving! Renee I am nominating you for 7×7 awards. Kindly take a peek at my blog for more details. 🙂 Congrats to you.